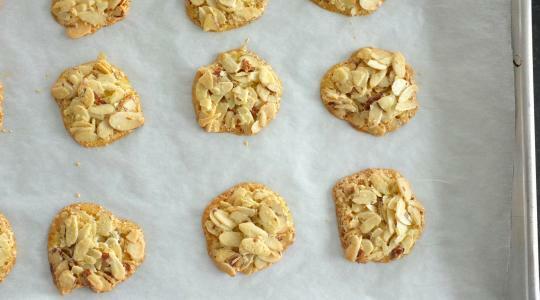 ***​These cookies are adapted from Dorie Greenspan’s Dorie’s Cookies. Heat the oven (with the oven racks toward the middle) to 325° F. Line two sheet pans with parchment paper. 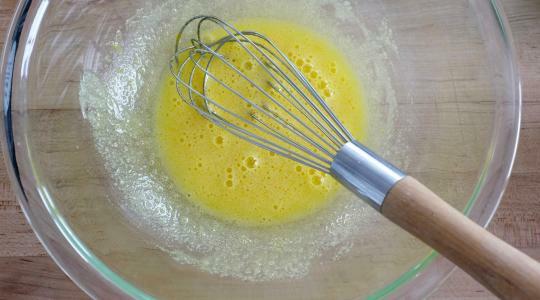 Whisk the sugar and egg together in a bowl for a minute or so, until well blended and just a bit thick. 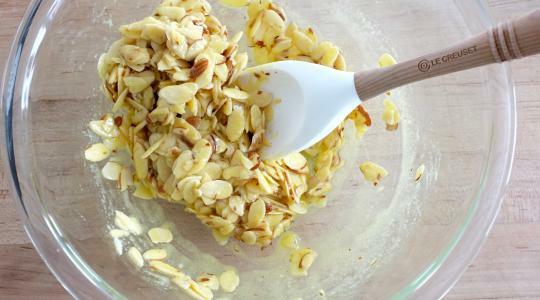 Add the almonds, orange zest, and salt and or stir until evenly coated with the mixture. You need to use the batter right away — it separates as it stands. In fact, it’s good to give the batter a stir or two as you’re spooning it out. Each cookie needs 2 teaspoons of batter. Scoop the batter onto the baking sheets, leaving at least 2 inches of space between the mounds of batter, and flatten each mound with the back of a fork. Bake for about 20 minutes, rotating the pans midway through baking. 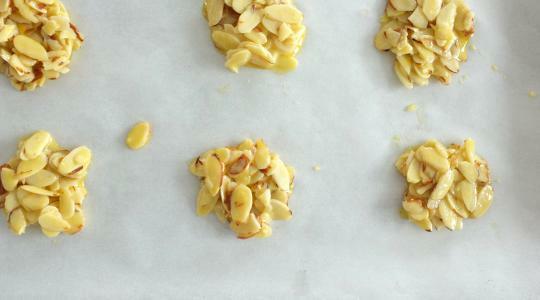 The cookies should be toasted-almond beige, and dry and crackled on top. Transfer the baking sheets to racks and let the cookies cool completely on the pan. Carefully lift the free-form cookies with a wide spatula (we peeled the parchment away from each cookie instead). Note: If your kitchen is cool and dry, you can keep these in a tin or paper bag overnight. Keep them longer, and they might soften, a condition easily reversed: Place the cookies on a lined baking sheet and warm them in a 350° F oven for about 6 minutes; cool on the sheet.